With more people listening to streaming audio via computers and smartphones there was a need for a device to help broadcasters optimize their audio streams to sound as good as a radio station’s terrestrial signal. With the more recent proliferation of smart speakers, which hadn’t yet arrived on the scene when the R/2 was in the design stage, that need is growing. 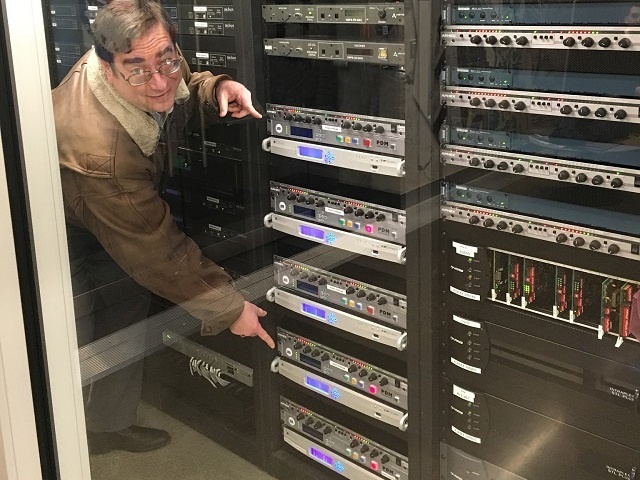 Telos streaming audio engineers knew David could provide essential input based on his years of experience with streaming audio, including six years with CBS and work on streaming projects for other companies. “I knew what was out there. When I was at CBS Radio we determined we needed something better and more reliable if streaming was to become a transmission of the future. We needed something of broadcast caliber,” he notes. "How your stream sounds is as important as how your on-air signal sounds, and the R/2 has built-in audio processing to help your stream match your over-the-air audio." It’s important to note though that worry-free doesn’t necessarily mean ‘set it and forget it.’ “You can’t just plug it in and leave it alone,” David insists. “A stream cannot be plug-and-play.” While the R/2 makes it easy to ensure the highest quality audio streams possible, it’s important to tune into the stream regularly to ensure the audio sounds appealing. One aspect of appealing audio is volume—or more accurately, loudness—which is a common issue when it comes to audio streams. But, David says, one that’s easier to manage with the R/2.